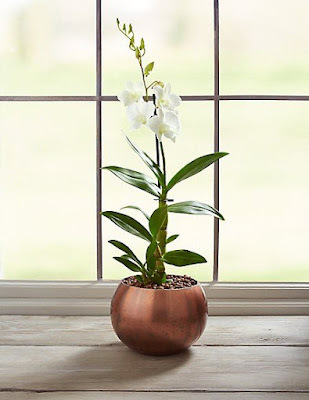 Orchids make a fabulous gift and you can go that extra mile by adding a little extra something, such as chocolates or prosecco, and enjoy free UK delivery. 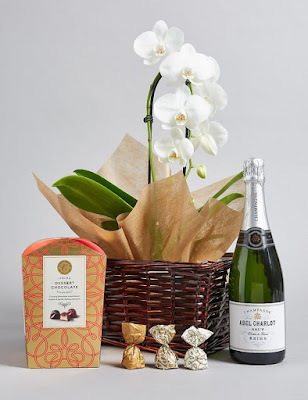 This brand-new prestige hamper includes a luxury white cascade orchid with a bottle of Champagne and Italian Dessert Collection Chocolates, beautifully presented in a dark brown wooden willow basket. The perfect luxury gift to really spoil a loved one. Colours may vary slightly throughout the season. 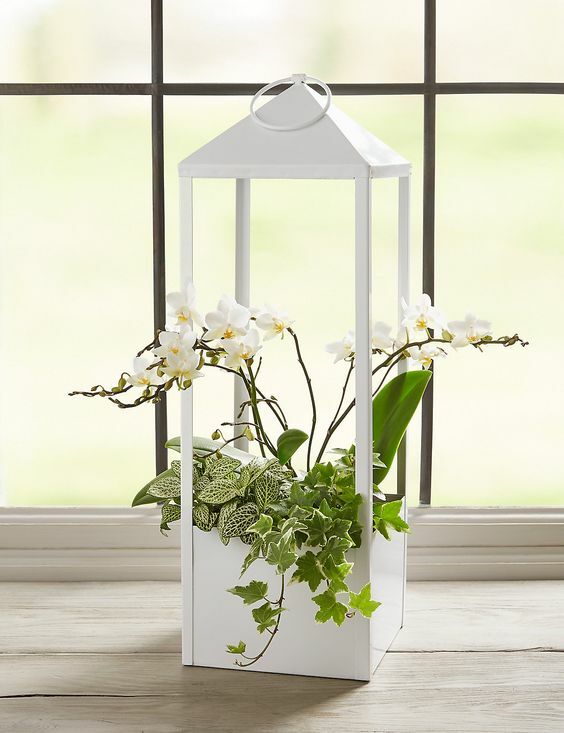 A beautifully flowering white jungle orchid is presented in a gorgeous lantern planter, along with trailing ivy and a white foliage plant. Beautifully abundant this summer. Colours may vary slightly throughout the season. 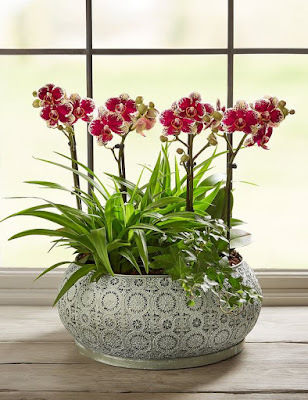 These beautiful twin stem "Street Wise" orchids are planted in a in a metal lattice cut out orchid bowl. Together with a spider plant and a hedera for a display. Colours may vary throughout the season. 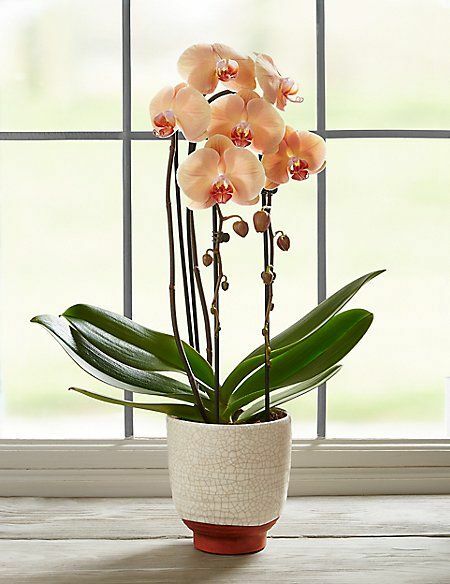 This peach coloured "Lady Marmalade" Double Cascade Orchid presented in a beautifully sleek crackle-glazed ceramic will make a stylish statement in any home. Colours may vary throughout the season. 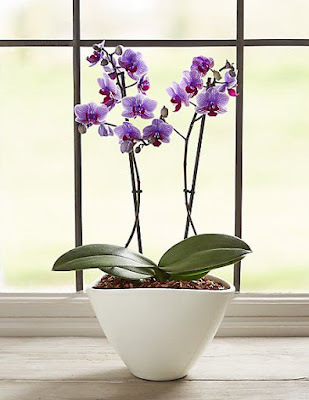 This gorgeous jungle orchid features an abundance of pretty heads, perfectly presented in a sleek and stylish white ceramic trough with split gloss and matte finishes. Colours may vary throughout the season. 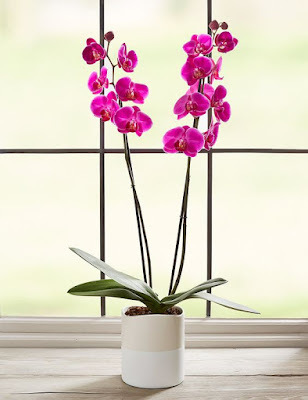 This tinted orchid will be sure to make a statement in any home this summer. 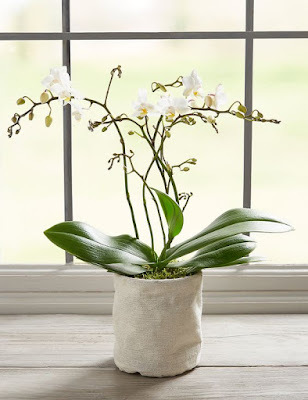 Presented in a white matte ceramic, this new stunning orchid plant will make the perfect gift for your loved one. 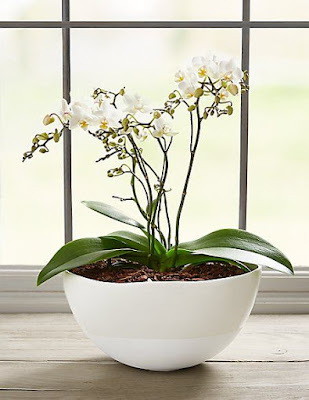 Please note that when the orchid re-flowers, the blooms will be a natural white colour. Colours may vary throughout the season. 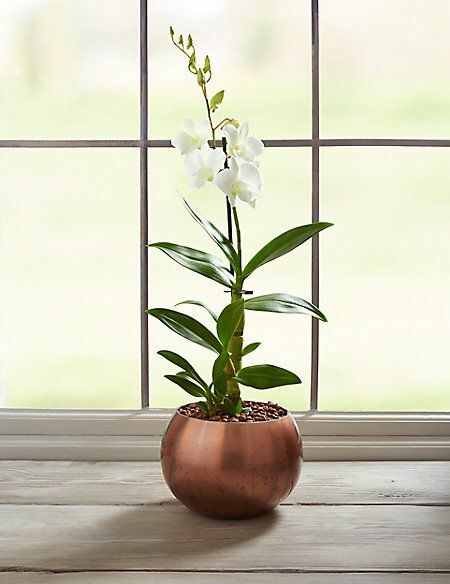 This unusual white orchid comes complete in a stunning copper-coloured glass globe. A striking and unusual gift for autumn. Colours may vary throughout the season. 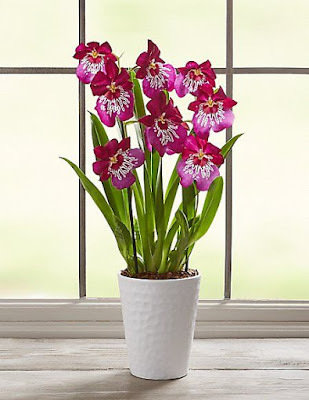 This attractive purple and white miltonia orchid sits in an understated white ceramic pot. A stylish addition to your home. Colours may vary slightly throughout the season. 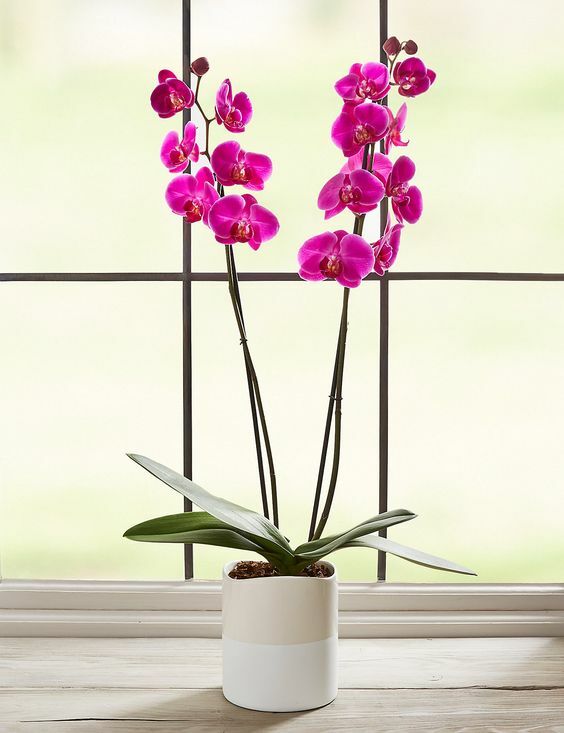 A sublime twin stem orchid is presented in a contemporary two-tone ceramic; a beautiful addition to any home. Colours may vary throughout the season. This special delicate orchid product has been cleverly designed with a fabric pot and bark to fit through your letterbox so no need to wait at home for delivery. Treat a loved one the summer! Colours may vary slightly throughout the season.